The carrying strap can be attached to the 3 or 4 step X-Deck. 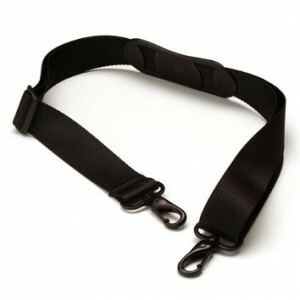 This adjustable strap is a great Xccessory to have, because it allows you to carry the lightweight X-Deck hands free. You can carry the X-Deck like a handbag or throw it over your shoulder and carry the X-Deck like a backpack. The carrying strap is the perfect add on to your X-Deck.